Are you looking for a vacation rental in the Gulf Shores and Orange Beach area? Brett/Robinson Vacations has a wide range of vacation properties for any size vacation group and we can work with you to fit your budget and needs. You can browse through our selection of Gulf Shores and Orange Beach condo rentals to find the perfect one for your family. We know you'll love vacationing with our expert help. Gulf Shores and Orange Beach provide vacationers some of the best restaurants and entertainment options you could want. The Alabama Gulf Coast is well-known for its world-class seafood, fantastic music scene, and relaxing beaches. In area restaurants you'll find fresh fish, oysters and shrimp (Royal Reds, too!) straight from the Gulf. There are music festivals all year long, such as the Hangout Music Festival in Gulf Shores, and concerts at the Amphitheater at The Wharf in Orange Beach, all from award-winning artists across different genres. Being close to the water and beaches, Gulf Shores and Orange Beach offer unparalleled views, gorgeous beachfronts, fantastic golf courses, and all the fishing and water-sports you could want. 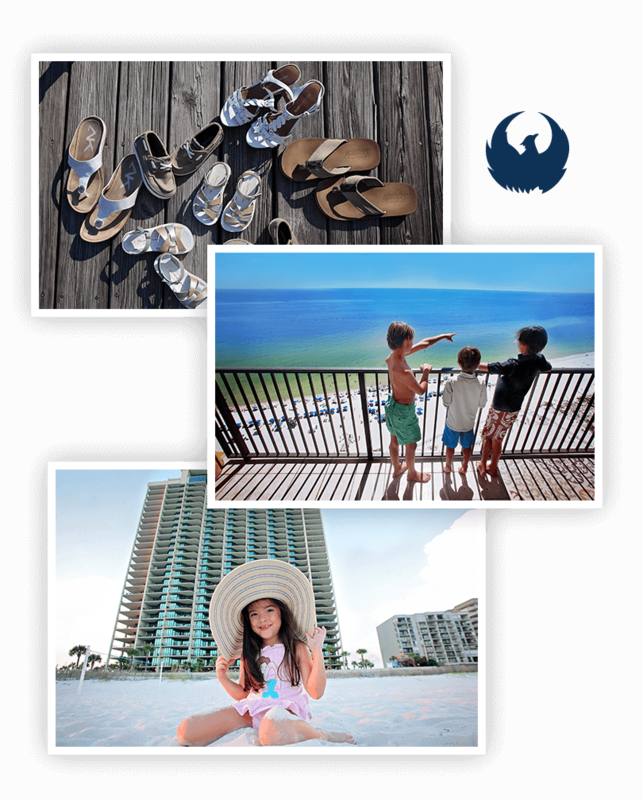 A vacation in Gulf Shores and Orange Beach will meet all your expectations, and more-book today with Brett/Robinson. Indoor and outdoor pools, hot tubs, and saunas. BBQ grills, fully furnished kitchens, gazebos. In-unit washer and dryer units. Fitness centers, tennis courts, and indoor racquetball courts. Free WiFi hotspots and wireless connections in lobbies and rooms.